Here are some World War 1 tank facts. World War 1 tanks played an important part during the 1914 to 1918 conflict. 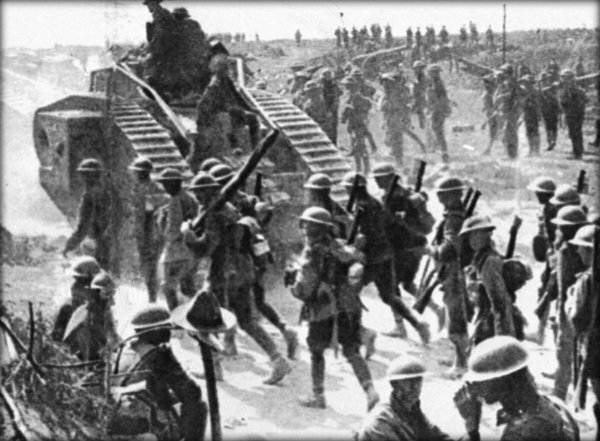 Tanks were invented because the trench warfare type of fighting was slow and unpredictable. One of the key reasons for introducing tanks was to deal with the problems posed by barbed wire. Tanks were able to drag barbed wire away using grappling hooks, or flatten areas covered with wire so that soldiers could cross it. The first tanks were unreliable and difficult to maneuver, partly because of the thick mud and and uneven ground of the Western Front. It was also hot and cramped inside the tanks. The idea for the tank came from studying farm equipment with caterpillar tracks. It was nicknamed a tank as it looked like a metal water carrier. Little Willie was developed in 1915 by British scientists and inventors, and it was the first of the World War 1 tanks. It weighed 16 tons, measured 8 metres long and could travel at 3.2 kmh. One of the most widely produced World War 1 tanks was the Mark I. During the war, 10 different versions were made, with speeds up to 13 kmh. Tanks were sometimes categorised as being male or female, with the female tanks having fewer guns. Tanks were at first camouflaged although they were soon painted brown, as they ended up covered in mud after a few hours of being used. 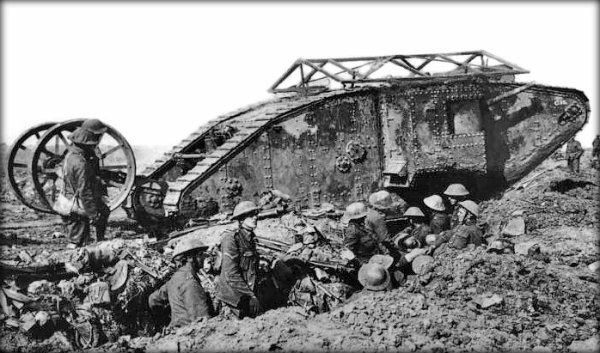 In November, 1917, all 474 tanks of the British Tank Corps fought at the Battle of Cambrai. The French and the US armies were impressed and developed their own tanks. During the 1918 Battle of Amiens, about 70 percent of Allied tanks were destroyed in just a few days. By the end of the war the British Tank Corps had only 8 tanks left. In April, 1918 the first tank versus tank battle took place. In August, 1918, over 600 Allied tanks helped with an advance on the Western Front. By the end of the war, the British had produced over 2,600 tanks, while the Germans had made only 20. Today, one of the best places to see World War 1 tanks is at the Tank Museum in Bovington, Dorset. Wow, really helped me with homework! Thx a lot dude! Very interesting! Was watching BBC series Our World War when some tanks were being used,thought I would Google it! Nice Web page! Thanks! I’m doing extensive research on tanks and this was a great introduction for my presentation. Well written, very useful!